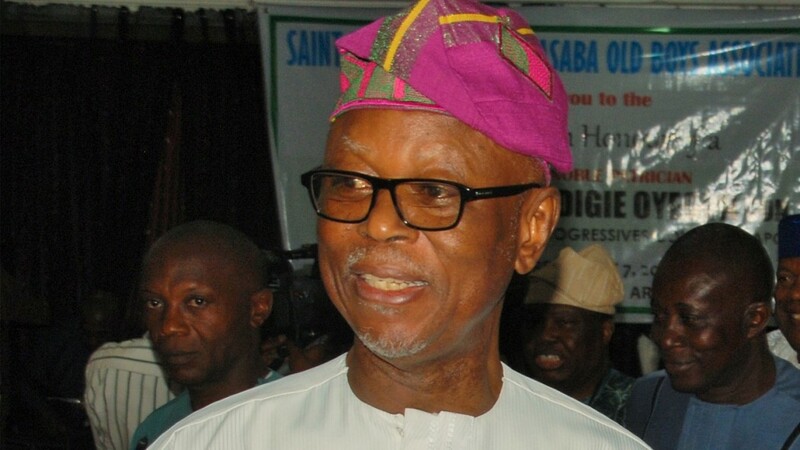 The crisis in the All Progressives Congress, (APC) deepened on Friday with a bloc that wants the embattled national chairman of the party, Chief John Odigie-Oyegun out of the office taking his case to the Economic and Financial Crimes Commission (EFCC). Coming under a group which tagged itself, the “Buhari/APC Anti-Corruption Support Group”, Oyegun’s opponents stormed the EFCC on Friday with a petition accusing the national chairman of corruption. Tribune reports that the protest at the EFCC secretariat was part of a well coordinated plot ahead of the meetings of the national caucus and the National Executive Committee fixed for the 26 and 27 February 2018. A party source further disclosed that the petition taken to the EFCC was a follow up to a recent protest memo addressed to the national chairman of the party by its six zonal chairmen. Carrying several placards with the inscriptions, “EFCC Must Prope Oyegun Now!” “Audit APC’s Account Now’’, and “Oyegun is Killing the Anti-Corruption Policy of Buhari,” members of the group asked the anti-graft agency to probe the accounts of the ruling party. Leader of the group, Ishola Adeshina further alleged that Oyegun had been running the accounts of the party without a recourse to majority of national officers of the party. Reacting to Friday’s development, the national publicity secretary of the party, Bolaji Abdullahi told Tribune newspapers on the telephone that the national working committee was “not miffed” as he noted that it was within the right of the petitioners to demand for accountability on the finances of the party. He, however, submitted that they were wrong to have engaged in street protests in Abuja. He said: “I haven’t seen the petition. But if they are asking for a probe of the national working committee, I don’t have any objection. But there is a laid down procedure in the party for demanding for accountability, not street shows. The anti-Oyegun camp had lost out last October as members of the NEC passed a vote of confidence in his leadership at the meeting. In the memo, they accused Chief Oyegun of usurping their functions and of alleged financial misdeeds. Those who signed the petition were Chief Pius Akinyelure (South-west), Comrade Mustapha Salihu (North-east), Alhaji Zakari Idde (North Central), Inuwa Abdulkadir (North-west), Hon. Emma Eneukwu (South-east) and Ntufam Hilliard Eta (South-south).